1st March 2012. Don't miss the 1 week sale on now - all maps reduced by 15%; get the new season 4 Pat Callinan DVDs and see the newest must-have gadgets to make tyre deflation and inflation fast & easy, find out the truth about power napping; and heaps more news. It's time to grab a bargain! Are you in trip planning mode for the upcoming Easter break, or the winter travel season? 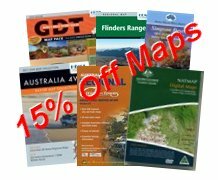 To help you get prepared, we've got 15% off all maps in the shop for 1 week only. Yes, that includes all digital map products too! Member - Doug T (NT) is well known for creating the Sunday History Photo posts in the Forum - a contribution he has made without a break over the last few years. Doug has shown commitment, support and valuable contributions and so this week we decided to present him with Lifetime Membership as a thank you gesture. We hope you'll agree this was most deserved! Whilst Doug is not the first person to have been presented with Lifetime Membership for volunteer services, it is the first time we've made a public announcement. Our long serving Forum Moderators for example have also been worthy recipients of Lifetime Membership for their tireless effort and commitment behind the scenes. Do you have a good understanding of geography and weather and a spare half an hour a day? We currently need 2 volunteers to help keep our Road Conditons pages for QLD and NSW updated. In return for your work, volunteers can earn membership benefits and vouchers for use in our online shop. If you're interested to put your time online to good use for the benefit of others - please contact us at info@exploroz.com. If you're a social networker, you can now "Like" us on Facebook or "Follow" us on Twitter. This will keep you updated with the latest content feeds and provide exclusive details on what's happening behind the scenes. 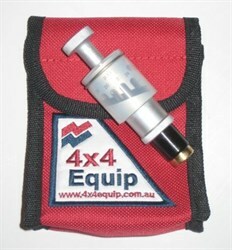 Please welcome our newest business member, Drivetech 4x4. Go their profile to see further information about their "Win a Hilux Promotion"
Each month we have a random prize draw taken from reviews submitted for items listed in our shop. Congratulations to February's winner - Andrew Devas! Get practical tips for finding and using P-Bays and Rest Areas. Plus - find out why power-napping really does work. Get our best tips for planning a camping or caravanning holiday away with your dog. 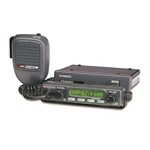 Revised and updated facts about UHF radio communications you need to know! 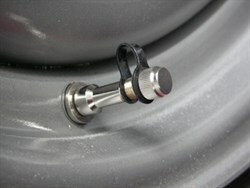 Tyre Deflators and Valve Caps Available Now. Must-have gadgets for any off-roader!